Winter is traditionally the time to get in the garage and tinker away on a project, so Indian is encouraging owners to take the tools to their Scout and give it the flat track look. 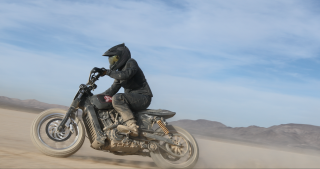 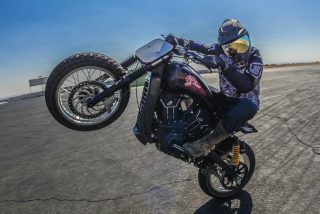 With the rise of the Super Hooligan scene and the American Flat Track championship, Indian says it is starting to see an increase in riders in Europe who want to create a bike they can ride every day in comfort, but one that looks ready to tear up the dirt. Transforming the look of a stock Scout Sixty, Scout or Scout Bobber, is now easy, especially if you use official Indian accessories or buy one of the many special kits that bike builders and parts manufacturers are now selling. 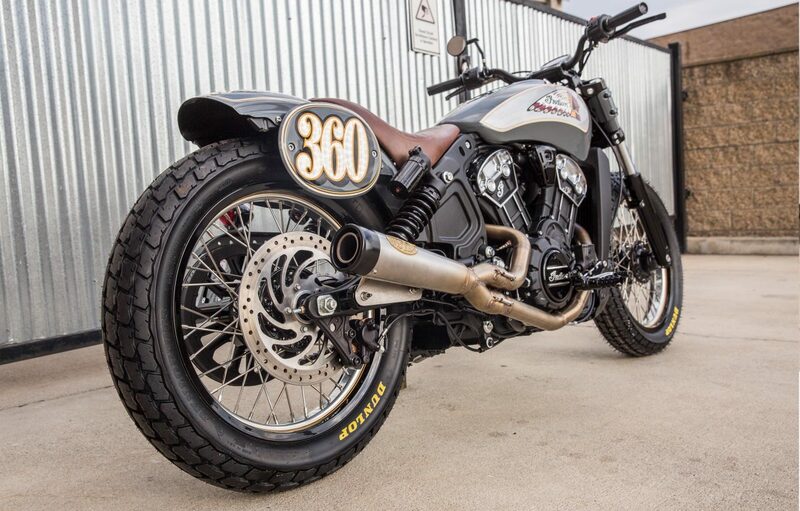 So what do you need as a minimum to turn a stock Scout in to a flat track racer? First you need a base bike, either one bought new or used from a dealer and then you need a vision for what you want to create. 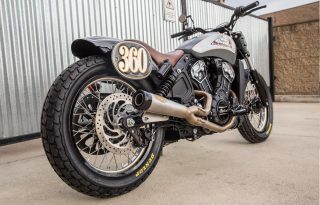 One of the best and coolest examples of a stock Scout being turned in to a flat track bike is the one built by the Parisian photographer and filmmaker, Dimitri Coste. 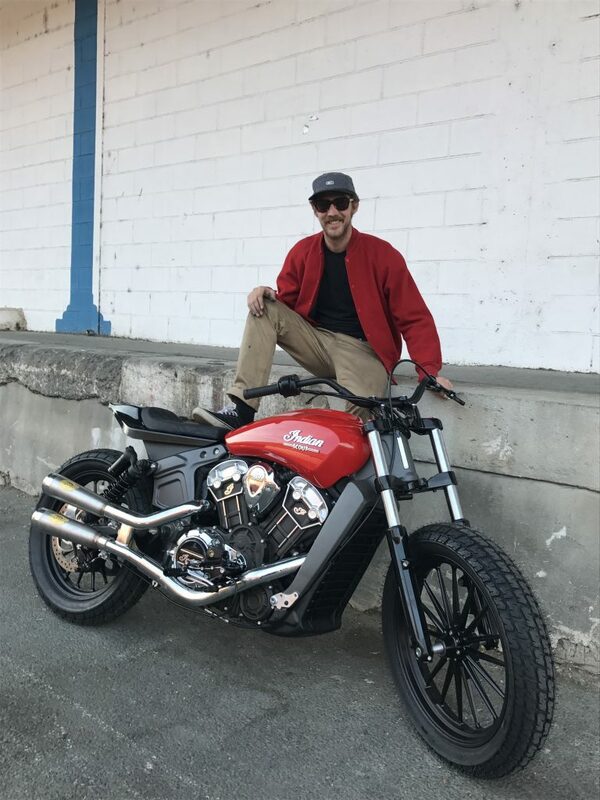 When Dimitri isn’t racing his bike on the track, he gets it back on the street by putting the stock front wheel back in, refitting the front brake, and adding the headlight and licence plate back on. 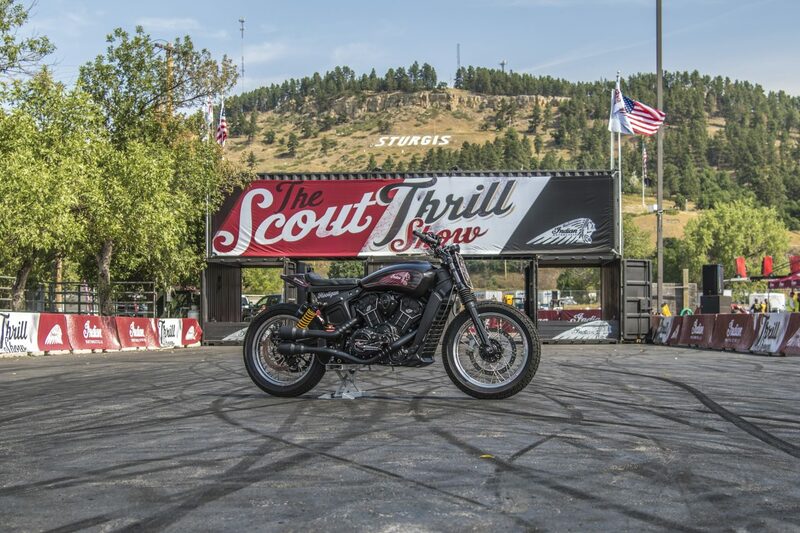 Another great looking example of a flat track Scout, is skateboarder Steve Cabellero’s, which started life as a Scout Bobber, the newest model in the Scout family. 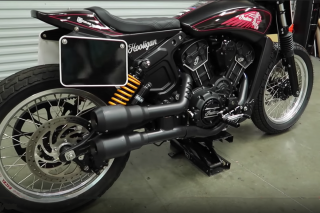 Steve wanted a ‘Street Tracker’, something he could ride on the road day-in and day-out, but then also take to a Hooligan race and turn some laps if he wanted. 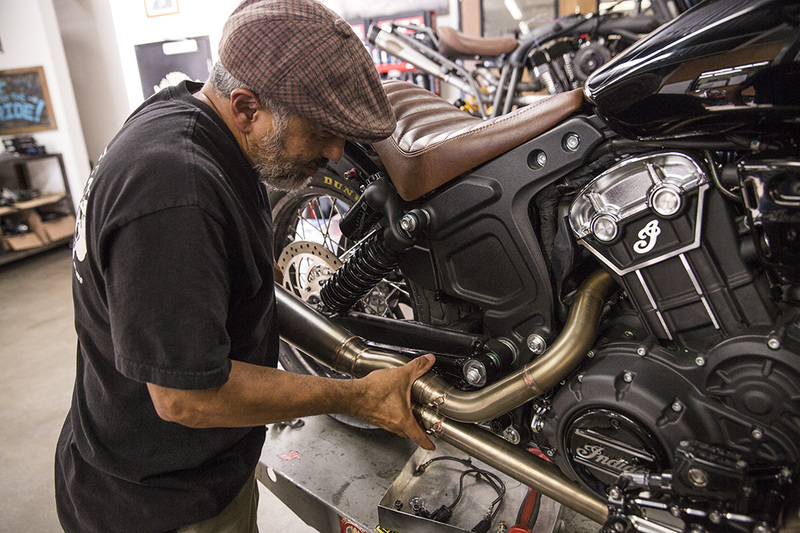 Stunt rider Tony Carbajal has built a snarling Scout too, which he uses in his Indian Thrill show. 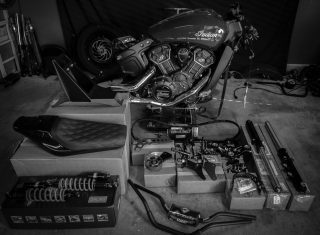 He has made a series of videos on YouTube detailing the build to show everyone just how easy it is.